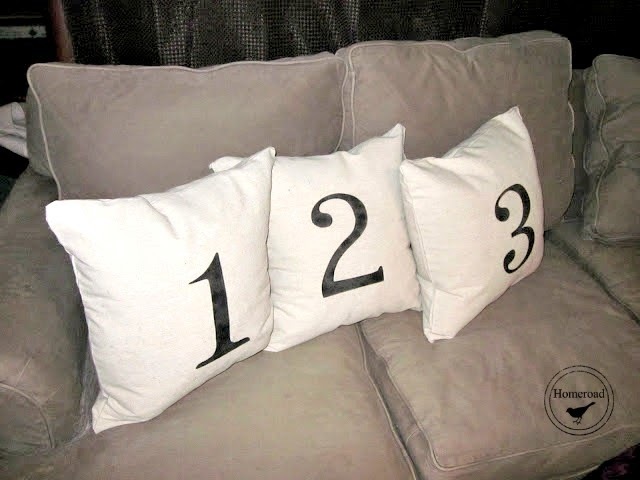 I've wanted those great Number Pillows from Pottery Barn for a long time but didn't want to pay the price. So... if you were me what would you do?......RIGHT! The very first thing I did was to get a little inspiration from my friend at Tatertots and Jello. Second, I got out my new "go to" fabric... the old Home Depot drop cloth! Great Stuff! 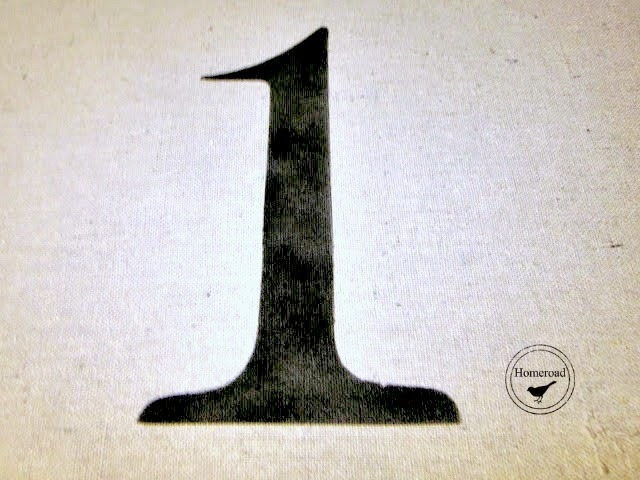 Next I wanted to find and print out a great font from my computer! Why is it the printer is broken every time I need it? I won't let that stop me... I'll draw the numbers! I ended up drawing them about ten times until I was happy. 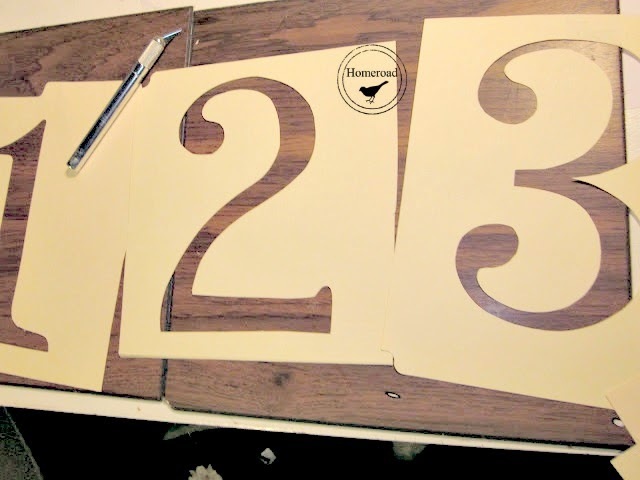 Next I taped the drawing to card stock and cut out the numbers with a craft knife. Saved the insides, never know when you might need them! Now it was time to open up the fabric and cut it to the size I needed, then iron it flat. 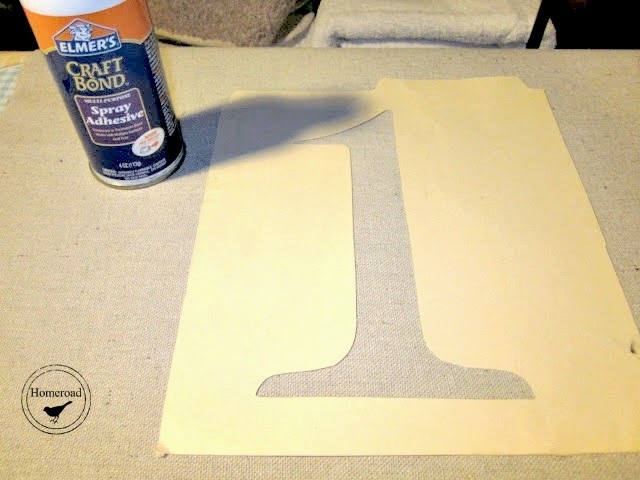 Next comes the fun part... using spray adhesive on the back of the stencil I glued the stencil down to the fabric. 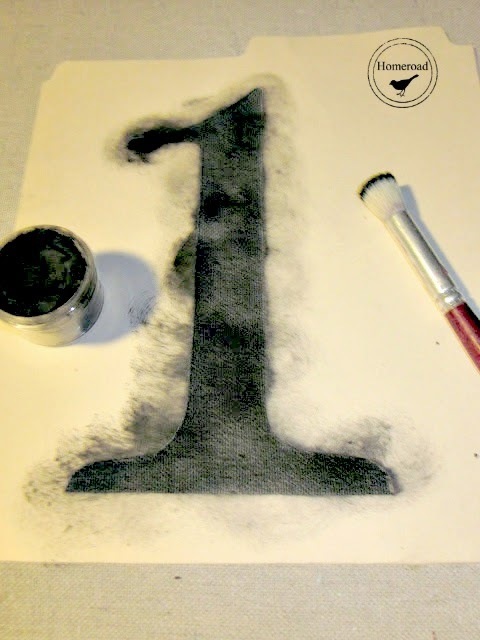 and using a swirling motion I used stencil paint to fill in the numbers. Now I let them dry over night. Time to turn the fabric inside out and sew around, leaving one side open for stuffing. and put them on the sofa! I think mine came out great! 💡Before you go sign up for emails! Get the latest DIY projects sent right to you! WOW Susan, you are inspiring me for sure....I might have to do these...Thanks...LOOK GREAT! Sent hubby to the store...our local hardware store closes early on Sunday 8( I will have to wait until tomorrow....BTW...can I ask what you paid for the drop cloth? Susan they look amazing... I love them. I want to do this so badly too... now you have given me the inspiration to get moving on them. Thanks so much for stopping by earlier, hope to see you again. I spent $19.99 for the 9' x 12' which is not even the largest... it will make about a zillion pillows! 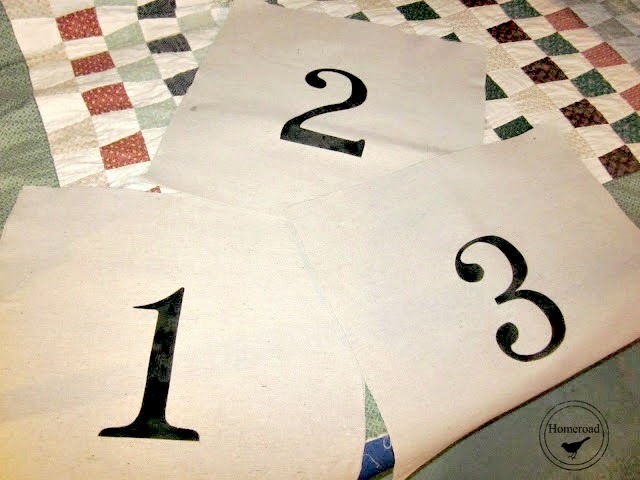 I made #1, #2 and #3 and then about 6 mini "love" pillows, recovered a piano bench and I still used only about 1/3 of it! You did a great job! 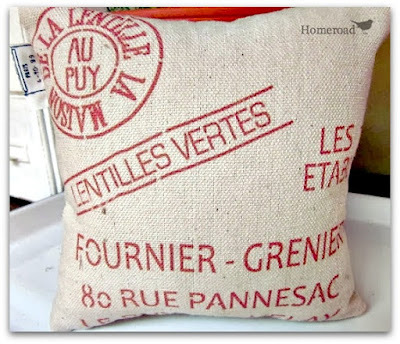 I have seen these type of pillows popping over all over the net. I am off to Lowe's Home Improvement for a drop cloth! 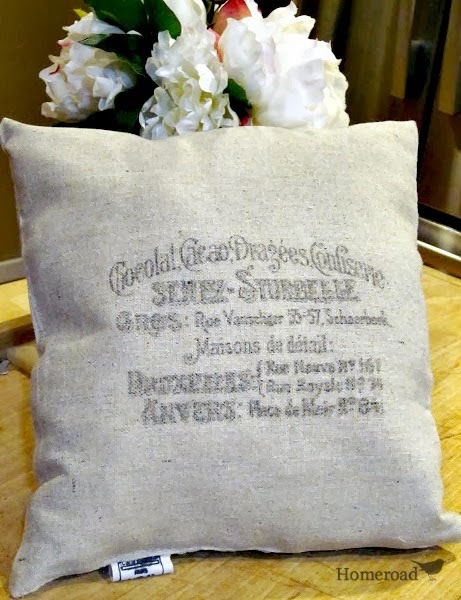 love the pillows i will be trying to make my own this week. I went and got a 4X15...seems HUGE...Cant wait to start...a little nervous though....thanks again Susan for the idea! Jen is a great source of inspiration! These turned out wonderfully! Thanks for linking up at WWC! These are awesome! I think I could even do them. I'm not very good at sewing though and always wonder how you sew up the last side? 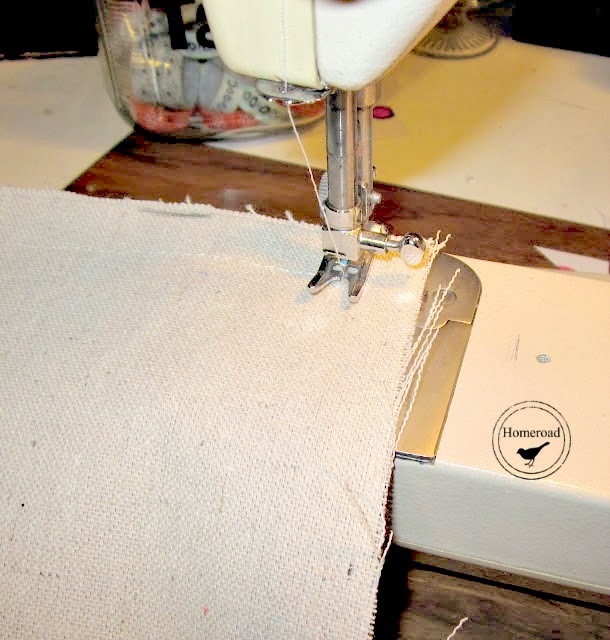 Do you hand stitch it (after the pillow form is in there). Any tips you have would be great! Thanks for the tutorial!